Former Nowata County Sheriff Terry Sue Barnett feeds her cows on her property in Nowata County. Cows recognize the truck that feeds them. Seconds after Terry Sue Barnett’s feed truck rumbled into their pasture, her hungry herd perked up and turned to follow her. “Just because they know this feed truck, and they think they’re going to get fed,” Barnett said. Barnett is in her element. She stares out of the driver’s side window as she makes a short loop through the pasture — checking the health of her animals after a wet winter and a hard calving season. Barnett would rather be here tending her cows than back at her old job running the Nowata County Jail. 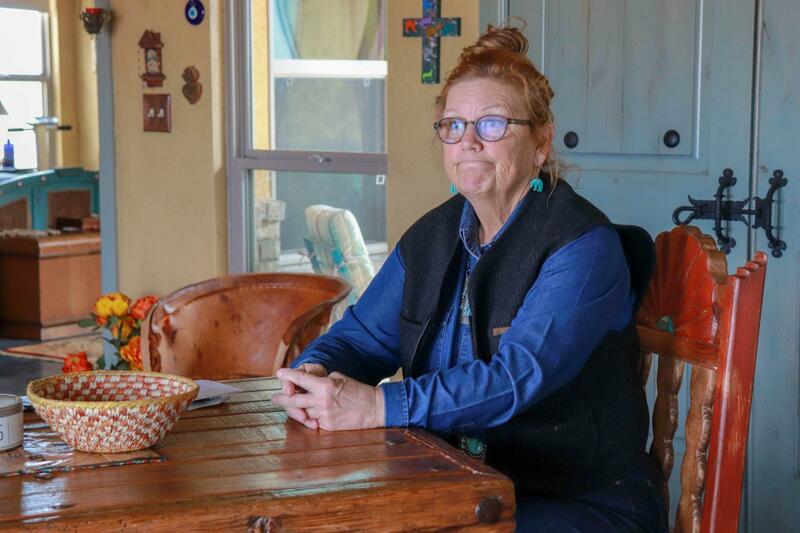 Barnett made national headlines when she resigned her position as county sheriff because she refused to lock prisoners inside a 107-year-old jail she says is dangerous. At least two people have tried to hang themselves in the rural jail in the last two years. State law requires that counties pay for their own jail or access to someone else’s. Barnett says it was extremely difficult to run Nowata’s jail because the county’s commissioners didn’t give her office enough money. Nowata County is about an hour’s drive northeast from Tulsa. It doesn’t collect a lot of tax revenue from its roughly 10,000 citizens, but local taxes are largely how counties pay to operate their jails. Barnett says the result is visible … holes in the jail’s walls, black mold, loose electrical wires, fire hazards and surfaces inmates could use to hurt themselves and others. “A lot of the beds in that area are made of springs which inmates can take apart and make weapons,” Barnett said. “I had never seen such poor conditions of a jail. Barnett says it got worse. Four of her employees had to be treated for suspected carbon monoxide poisoning on a day she was out of town. All the inmates were evacuated to a nearby county. Barnett refused a judge’s order to bring Nowata’s prisoners back — then she resigned in protest. Most of her staff followed her — shining a national spotlight on the bleak conditions of the jail. County budget documents suggest the sheriff’s office was assigned $365,886 last year. A board in charge of reviewing budgets for county offices recommended the sheriff’s office receive about $10,000 more than that. Barnett isn’t sure how much more money would’ve been enough, but she says the jail was reaching a crisis. Shortly before the jail was evacuated she told a county commissioner that she could barely keep the jail staffed because of low pay and a tight budget. Burke LaRue is a county commissioner for Nowata County. Burke LaRue is one of Nowata’s county commissioners and he agrees that funding for the sheriff’s office is too low and the jail is dangerous. He applauded Barnett’s decision to not return prisoners to the jail. Nowata is one of more than 10 counties that lost contracts to house state prisoners between 2017 and 2018. The Department of Corrections said it cancelled the contracts to save money. But the cost savings for the state were a devastating cut to county jails that depended on the extra revenue. Sheriff Devin Huckabay in Greer County says the state used to pay his office about $10,000 per month and he hasn’t recovered from losing the contract. Greer County is also rural with a small tax base. Huckabay says each year the county falls about $320,000 short of paying the jail’s expenses. He says over a decade, earnings from holding state prisoners partially bridged the gap. Of the sheriffs who lost state contracts, the lucky ones have found contracts to hold prisoners for other counties or for federal agencies, such as ICE. County law enforcement also fill their budget gaps by collecting money for prisoners’ phone use and commissary. They’re paid to serve legal papers and they get money after they arrest people on warrants. Finding ways to make money when county governments don’t cover all their bills has become part of life for many Oklahoma sheriffs. Huckabay says it’s not ideal, and he still can’t pay basic costs. He’s lost deputies to budget cuts. He has multiple vehicles in his fleet that are too beat up to drive, and until recently the county couldn’t pay for a badly needed roof replacement for its 90-year-old jail. The sheriff says in five years, between 10 and 15 inmates escaped through the old wooden roof. Every county needs a jail — even the poor ones. 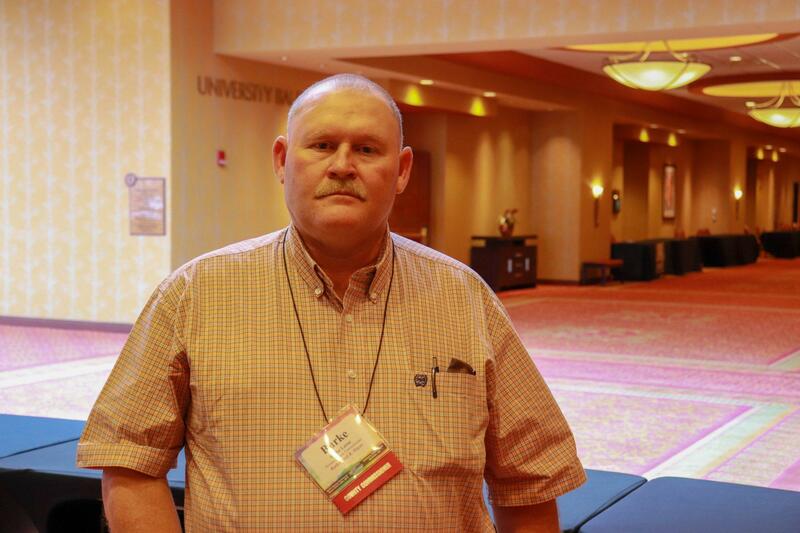 Ray McNair is executive director of the Oklahoma Sheriff’s Association. He says instead of relying on sheriffs to chase extra revenue, county commissioners can look into other options like paying to have their prisoners held in a neighboring county. Counties and the state could also pool resources. “They have the ability to build regional jails that two or three or four counties could put their inmates in,” McNair said. McNair says the state can also reimburse jails for locking up people convicted on misdemeanor charges in state court. He says Oklahoma voters’ decision to reduce penalties for drug possession and other crimes means more people will be sent to county jail instead of state prison, and that will make local jails more expensive to operate. Terry Sue Barnett interrupted her retirement to take the sheriff’s job. She says she wanted to help the county by stabilizing the office but didn’t expect the jail to need so much work. Terry Sue Barnett left the pasture temporarily. She’s come home to change into some work clothes. She dreads the thought of prisoners being put back into Nowata County’s jail before the list of problems she reported are fixed. “If you’re a prisoner you still deserve human dignity. You still need the basics,” Barnett said. The former sheriff says the county will be responsible if someone is hurt. The sheriff who replaced Barnett has said her office is making some repairs, and she plans to bring prisoners back to the jail as soon as possible. StateImpact attempted to contact new sheriff, Mickey Bradshaw-Hallett for an interview. As of the date this story was published, we have been unable to get her on the record. County Commissioner Burke LaRue doubts the repair efforts will fix the jail’s underlying problems and says eventually the county will have to spend more money. 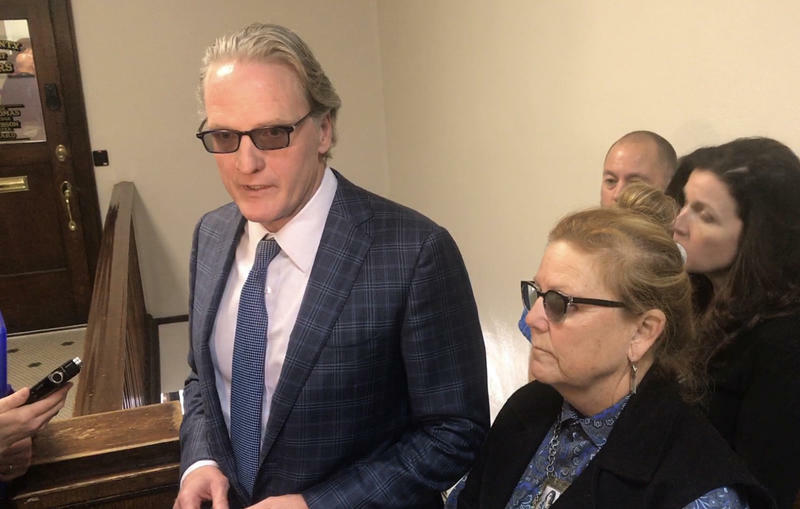 Former Oklahoma sheriff Terry Sue Barnett stood before a small crowd of reporters on Monday and made a shocking announcement: She would be resigning over deteriorating conditions at the Nowata County jail. Then her county undersheriff, every one of the deputies, the head dispatcher, and even the canine officer quit. An Oklahoma sheriff and nearly all of her staff resigned this week, defying a district judge's reported orders to reopen a county jail that has been closed and evacuated over safety issues.